Everything culminates in the end in a swift series of disasters and near-misses. The painting Theo thought he had in his possession the whole time had actually been taken by his friend Boris years earlier and replaced with a textbook of the same size. Boris used the painting as bartering material on the black market and lost it, but when Theo is suspected of stealing the painting when the case is reopened, Boris swears he’ll help him recover it. It’s a hard question to answer, especially since Theo’s decisions cost him plenty. His life seems messy and tired by the end of the book– repaired for the moment, but quick to unravel again soon. Through Theo’s experiences, the reader comes to understand that beauty isn’t just artificial, but substantial. The beauty of paintings, furniture, people, and objects sway people in surprising ways and make them do dangerous and brave and foolish things. One of the reasons Theo is so relatable, then, isn’t because his love of beautiful things is so strange– it’s because it’s so tangible. “The disappointing novel that just won a Pulitzer Prize,” Washington Post. Tartt might have been able to draw out the difference between loving a real masterpiece and a fake if she had placed her reveal earlier in the novel or if she were less determined to stock it full of bric-a-brac. “Donna Tartt’s multicultural fantasy: How “The Goldfinch” got away with its disgraceful racial politics,” Salon. I’ll work for free? I had the night off but I wanted to stay? Uh, right. Tartt’s working-class people of color read like wishful caricatures. 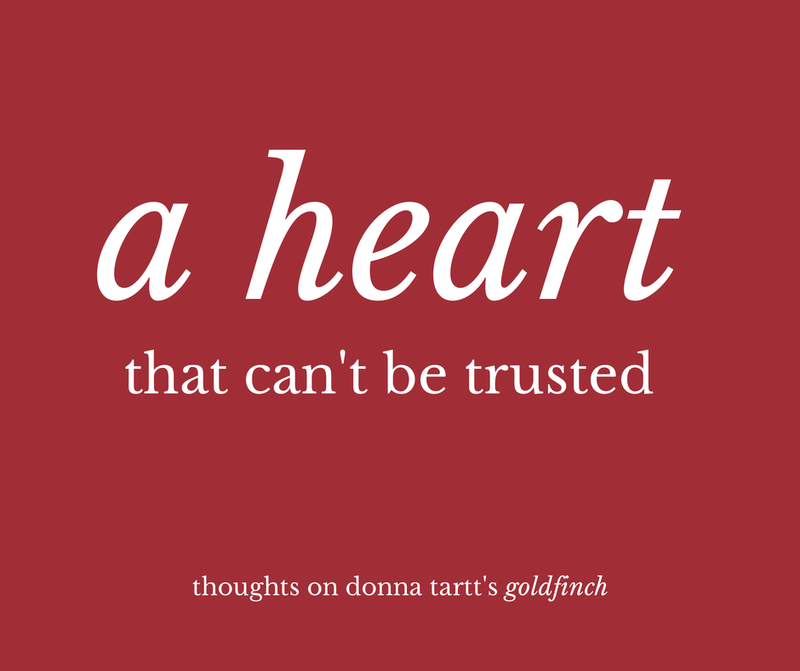 “Why You Absolutely Should Read ‘The Goldfinch,'” Huffington Post. Bad writing is not bad because it’s simple, it’s bad because it takes you out of the story. And Tartt’s light language does just the opposite: It reels you into the world she’s created, and immerses you fully in her character’s experiences.